Over the weekend, tons of people filled my twitter timeline with news that The Legend of Zelda was delayed into 2016. There was even speculation that it won’t be launching on Wii U at all, coming to Nintendo’s N(e)X(t) console instead. But where does this news come from? Well, directly from Nintendo, but there may be more to it. That tweet leads to this link with a message from Legend of Zelda producer, Eiji Aonuma. For those who don’t want to watch the video and read all the subtitles, he explains that the new open world nature of this biggest and best Zelda game has led to all new ideas and opportunities. As a result, rather than making working towards a specific schedule the main objective, the focus will be bringing ideas to life to make this Zelda the best possible game. 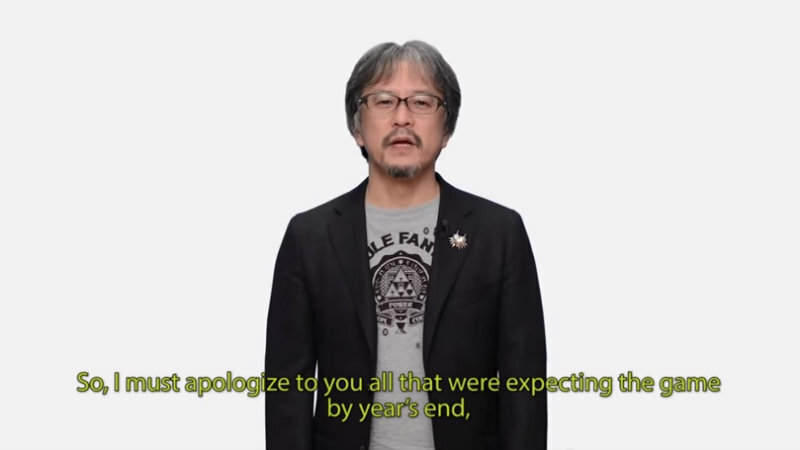 Aonuma goes on to apologize to all who were expecting the game by this year’s end as making a 2015 release is no longer the number one priority. He hopes (as we all do) that the extended time for development will end up rewarding our patience for the game. So, Zelda won’t be shown at E3 this year. With Splatoon launching in May, it will probably also be excluded from Nintendo’s stand, unless they just have a live tournament or something. The new console won’t be ready by then, so what will they be showing off? There must be something, or E3 is going to be a waste for them. As I always say, I’d rather see a game delayed than launched in a lesser form than it should be. However, with Nintendo also launching a new console, some people are wondering if it will launch on the Wii U at all. Then again, if the new console is still a few years away, it’s unlikely that they will delay Zelda that long. In the end, I blame Alessandro. He recently bought a Wii U and raved about how he can’t wait to play the new Legend of Zelda game – he obviously jinxed it for the rest of us.